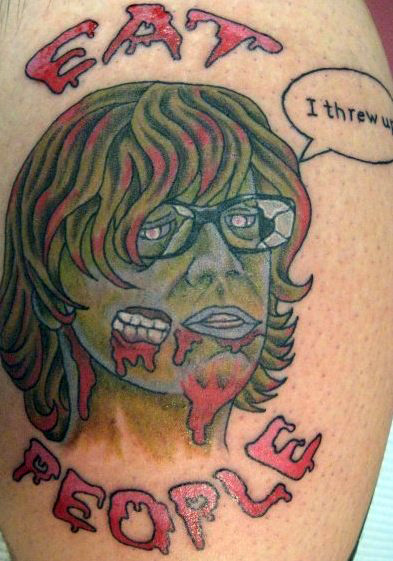 This is the first real "I threw up" tattoo I've ever seen! "This is my husband's tattoo. It is a portrait of Thurston Moore from Sonic Youth (as a zombie with two mouths, obviously haha), and it says Eat People because that is the name of my husband's band. You are welcome to put it on your site, his name is John Nahwooks and we live in Frederick, MD. I'm glad you like it!"